Botswana is a country located in Southern Africa. 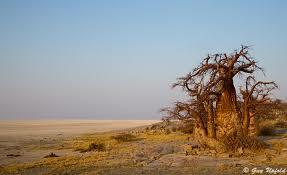 Botswana is a country with about 2 million people and it is one of the most sparsely populated countries in the world. Around 10 percent of the population lives in the capital and largest city, Gaborone. The economy is dominated by mining, cattle, and tourism. 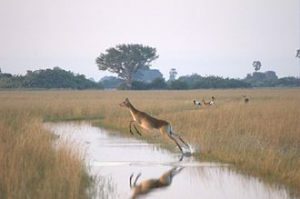 Botswana has diverse areas of wildlife habitat. 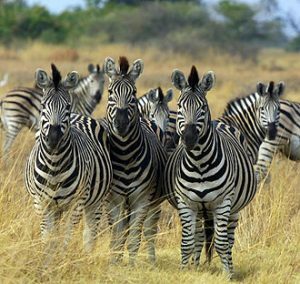 In addition to the delta and desert areas, there are grasslands and savannas, where blue wildebeest, antelopes, and other mammals and birds are found. Northern Botswana has one of the few remaining large populations of the endangered African wild dog. 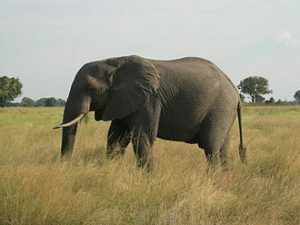 Chobe National Park, found in the Chobe District, has the world’s largest concentration of African elephants. The park covers about 11,000 km2 (4,247 sq mi) and supports about 350 species of birds. 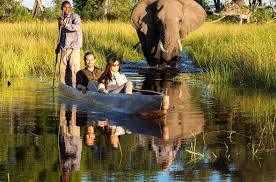 The Chobe National Park and Moremi Game Reserve (in the Okavango Delta) are major tourist destinations. Other reserves include the Central Kalahari Game Reserve located in the Kalahari desert in Ghanzi District; Makgadikgadi Pans National Park and Nxai Pan National Park are in Central District in the Makgadikgadi Pan. Mashatu Game Reserve is privately owned: located where the Shashe River and Limpopo River meet in eastern Botswana. The other privately owned reserve is Mokolodi Nature Reserve near Gaborone. There are also specialised sanctuaries like the Khama Rhino Sanctuary (for rhinoceros) and Makgadikgadi Sanctuary (for flamingos). They are both located in Central District.